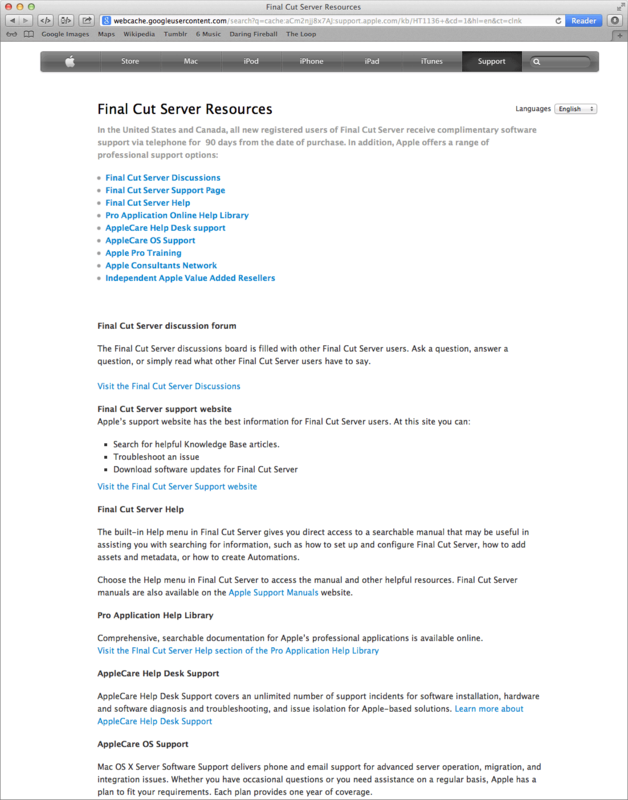 Final Cut Server: December resurrection? Although the most release note for Final Cut Server was archived in July, Apple are still making changes to FCS support documents. Hopefully to prepare for a December resurrection. iCloud collaboration for more Apple applications?